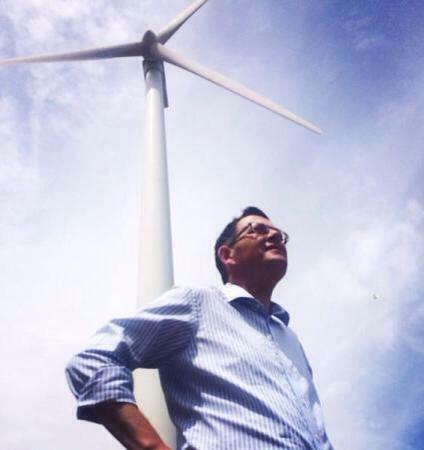 Premier Daniel Andrews – Forward-looking on renewable energy. According to reports, Premier Daniel Andrews has used a tour of the Ararat wind farm to confirm Victoria was committed to introducing its own renewable energy target. The Premier’s announcement comes just days after the Abbott government faced a strong public backlash for its decision to ban the Clean Energy Finance Corporation from investing in wind and solar projects. Friends of the Earth say a Victorian Renewable Energy Target must be the central plank of a plan to build wind farms and create jobs in Victoria. “A Victorian Renewable Energy Target will help get shovel-ready wind farms built. It can create thousands of jobs across the state,” said Leigh Ewbank. 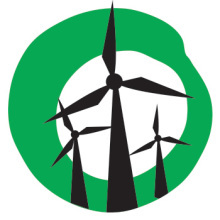 Friends of the Earth says a Victorian Renewable Energy Target can win cross party support. The VRET has the backing of the Greens and key upper house member James Purcell. The opposition, which has appointed the first shadow renewable energy portfolio, could also back the scheme. The Ararat wind farm is located in the seat of Ripon, where Liberal MP Louise Staley has supported wind farms under construction thanks to the ACT government’s RET scheme. Liberal MP Louise Staley takes to the air waves to back wind farms. 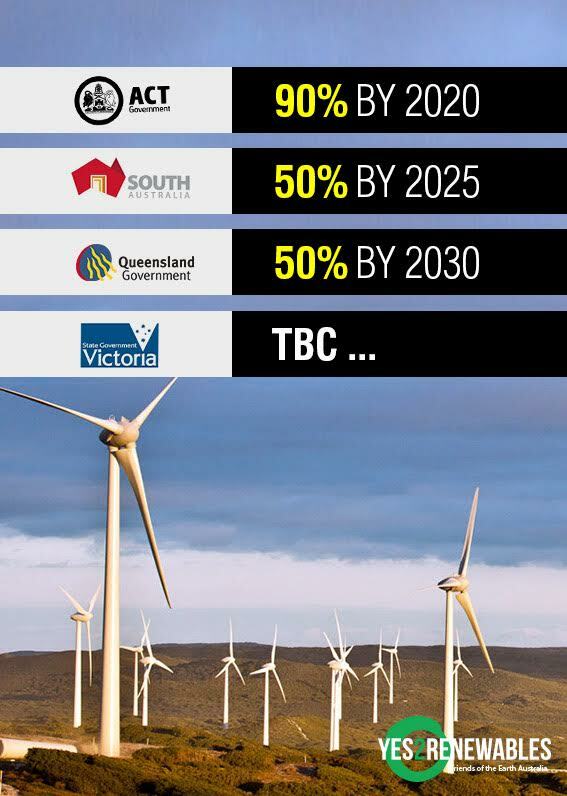 “The Abbott government has deliberately sabotaged the renewable energy sector. Premier Daniel Andrews’ visit to the Ararat wind farm shows his government values renewable energy jobs and investment,” said Leigh Ewbank. The state government’s Renewable Energy Action Plan is due for release later this year.